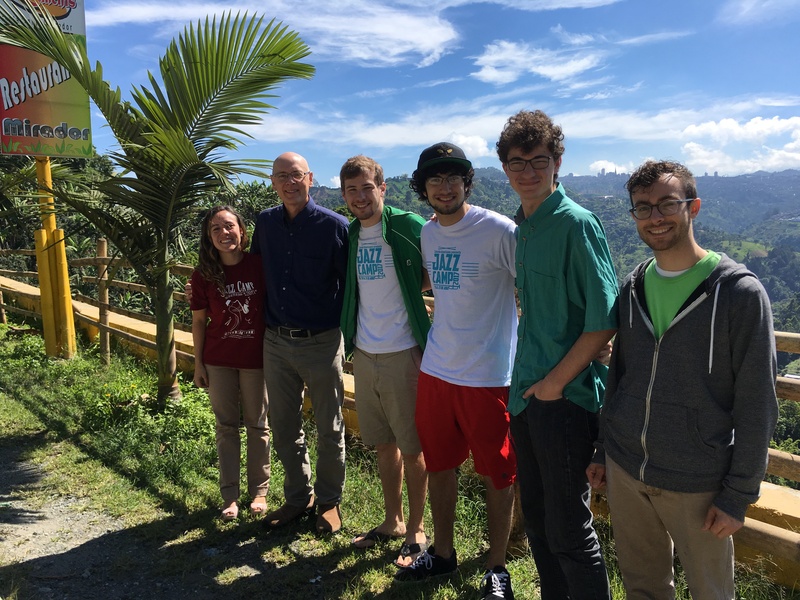 Dr. Bruce Dudley, associate professor of music, recently returned from two weeks of teaching at jazz camps and performing with four Belmont students in Colombia, South America. At the invitation of Colombo Americano Centers of Medellin, Manizales and Pereira, Dudley took a jazz quartet from the School of Music made up of bassist Thomas Altman (’17), guitarist Cole Clarke (’18), drummer Brad Covington (’18) and saxophonist/flutist Max Dvorin (’18). Over the course of two weeks, the group visited three cities in central Colombia including Medellin, Manizales and Pereira. They conducted group sessions daily for 135 students ranging from 10 – 24 years old. The Belmont Jazz Quartet, under Dudley’s direction, also presented concerts to the general public at central theaters in each city.